It was a gift for my mother who is 82 yrs. young. 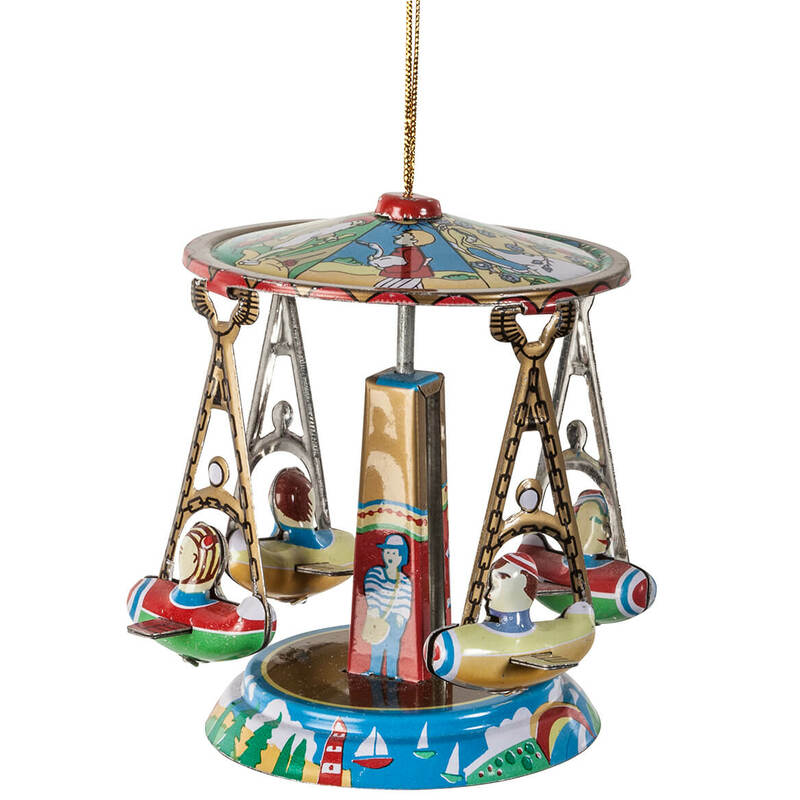 She loves carousels and she has it out as a knickknack. I buy one ornament every year as something to remember that year by. 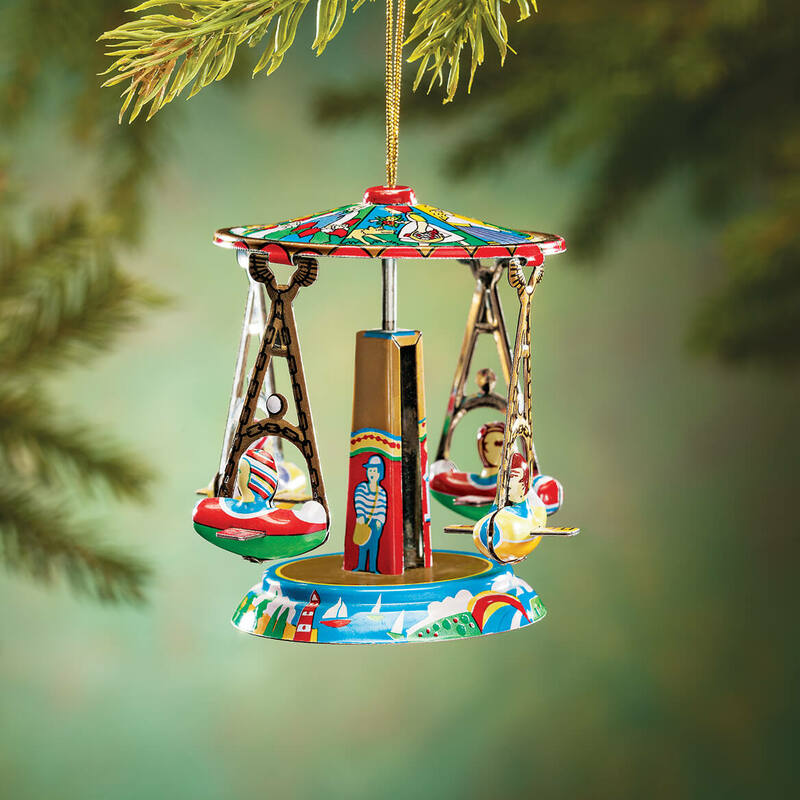 This little carousel ornament could not be any cuter, and the ride cars swing around when the stem is turned. It's just the right size to hang on the Christmas tree, and I'm tempted to maybe leave it out on a bookshelf year-round. Very happy to have it. 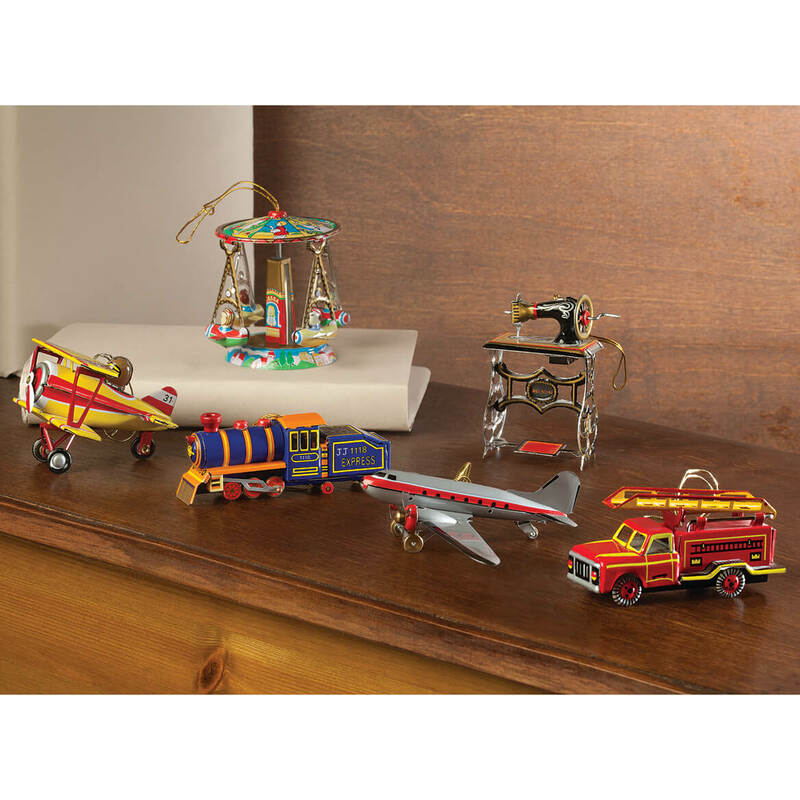 I love tin toys and will display it all year. Service for speedy, carousel was wrapped well, and it is exactly as advertised. Love it! This was so small and appears cheaply made. I purchased this earlier for my Christmas tree, and liked the vintage look so much, I decided to get another one.